A team of students from Santa Clarita Valley International (SCVi), an iLEAD school, are preparing to send a science experiment aboard the SpaceX-16 Falcon 9 rocket to the International Space Station (ISS) scheduled to launch on December 4. On Nov. 7, the iLEAD launch team carefully packed dried bacteria, hydration fluid, and dried instant black coffee into three tubes with airtight clamps called MixStix. 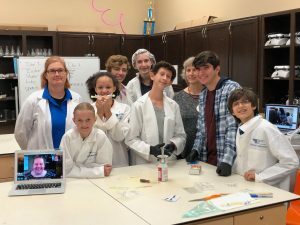 Together with iLEAD science facilitator Ingrid Moon and mentor Dr. Renate Lux, a professor at the UCLA School of Dentistry, the team livestreamed the packing process with NanoRacks. One of the MixStix tubes will blast off into space, while the other two will remain at SCVi. 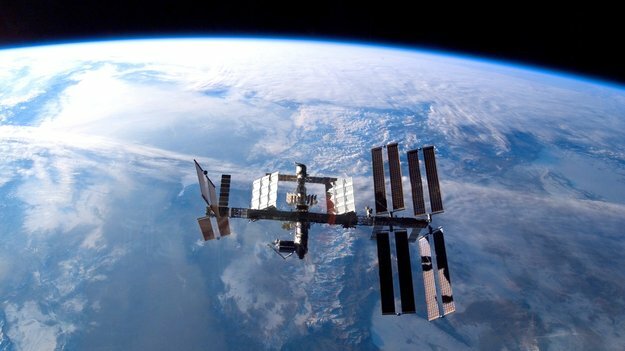 Four days before the experiment returns to Earth, the astronauts on board the ISS will mix the bacteria and hydration fluid at the same time the students do so on campus at SCVi. Two days before the return flight, both the astronauts and student scientists will mix the hydrated bacteria and the dried coffee. When the experiment returns from the space station, the students will compare how the coffee and bacteria reacted and grew in both environments. The SCVi team is flying to Cape Canaveral, Fla., to present and answer questions about their experiment at NASA Kennedy Space Center. 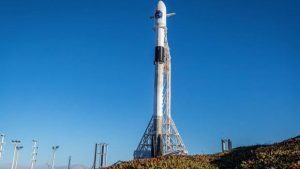 They will then watch the rocket launch, currently scheduled to take place on Dec. 4, from a launch viewing area at NASA’s Kennedy Space Center. The team consists of fifth-grader Kallie Verkouteren; seventh grader Finton Harwood; eighth graders Sophie Muncie and Olivia Rothenberg; ninth graders Luke Rigdon, Chaya Rubinstein, Isobel Salters and Skyler Verkouteren; and eleventh graders Brayden Hall, Connor Raskin and Adam Simpson. 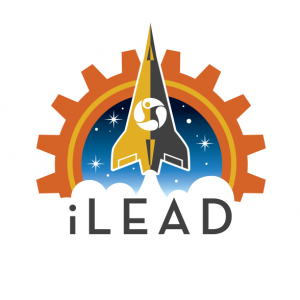 The project is just one of iLEAD’s many initiatives designed to engage students in deeper learning experiences and further their understanding of STEAM (science, technology, engineering, art & design, and mathematics) and to build students’ connections with Southern California’s aerospace and aeronautical communities, according to Kathleen Fredette, director of STEAM Initiatives for iLEAD Schools. It underscores iLEAD’s commitment to project-based learning, a teaching method that focuses on allowing students to investigate, actively explore, and respond to authentic and complex questions or challenges.